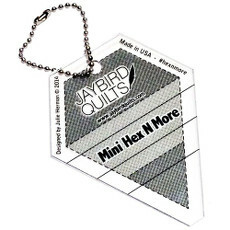 For use with the Mini Hex N More or the Hex N More Rulers. A smaller version of the Delight quilt this version measures just 12.5in x 16.5in and is fun and fast to make. 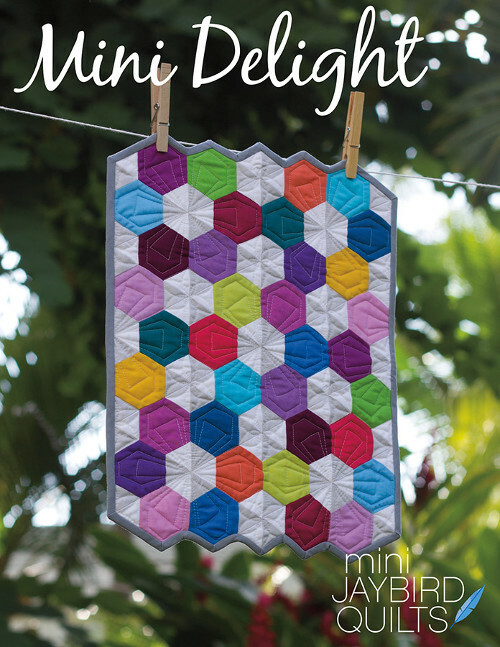 You will need one Charm Pack or eighteen 5in squares tfor this quilt. Full information on the materials required for this project are detailed on the back cover of the pattern (please click on image to see a copy of the back cover).